I saw this video from Gizmodo this morning. It shows the MacBook Air suspended by a single balloon at a Mac store. Is it for real? Is the MacBook Air really that light? After a few seconds, I realized there is no way a single balloon that small can suspend a 2 lb MacBook Air in the air . It would take a few more balloons than that. That is some hot air. Actually, it will take more than hot air to suspend a MacBook Air. Helium doesn’t cut it. Perhaps hydrogen. It’s just that the balloon is just too small to buck gravity with a 2lb payload. Notice the balloon doesn’t move at all. As it turns out, the balloon is actually suspended by a string. I walked by the apple store yesterday. The balloon was suspended by wires. Kind of ruins the illusion when you’re leaving work late one night, and you see a bunch of Apple employees hanging up the baloon by fish wire. Although this is obviously held up by some wires, it would be interesting to see how many balloons it takes to get it off the ground. And of course, some mathematician tries to explain it all. The MacBook Air and balloon are 70 times denser than air, and therefore, will not float. Yea, somebody check his math. I say this is brilliant marketing from Apple. Now, I really believe the MacBook Air is really that light. I own one. I was watching videos on Youtube last night, and I noticed that my connection was slow. Really slow. My download speed just couldn’t keep up with the Youtube videos at 360p. We are not even talking HD quality here. I was scratching my head as to why my connection was slow. As it turned out, Netflix was taking half of my bandwidth. I don’t have the fastest connection to begin with. I have an AT&T’s DSL Elite Pro touted at 6 mb per second. When I perform DSL speed tests from SpeakEasy, my top speed is almost always 5 mbps. I’ve never seen it go past 5. Unfortunately, my neighborhood does not support U-verse. So, I’m stuck with DSL. Cable is not an option for me, but that’s another story. the average encoding rate for video streamed to the Xbox 360 is about 2000Kbps. That means one person watching a two hour movie would transfer roughly 1.8GB of data. For high definition movies, the average encoding bitrate is around 3200Kbps and one user would transfer about 3GB of data. This makes a whole lot of sense. They are saying that Netflix will take up about 2 mbps. In my case, Netflix was using 2.5 mbps of my bandwidth to stream movies. That leaves me with the other 2.5 mbps for browsing, email, etc. It doesn’t give me a lot of room to run Netflix and Youtube at the same time. 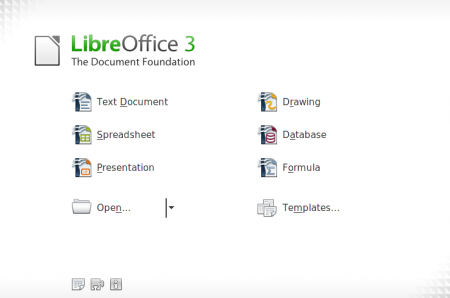 The Document Foundation released the first ever stable version of LibreOffice, version 3.3, last Tuesday, January 25, 2011. As you already know, future versions of Ubuntu will use LibreOffice starting with Ubuntu 11.04 scheduled to be released later this spring. Well, the good news is, you don’t have to wait. You can now install LibreOffice 3.3 on your Ubuntu desktop whether you are using the latest Ubuntu 10.10, or an earlier version. You can start the process by downloading the first stable release of LibreOffice. You need to download the correct deb package. If you are a Redhat or Fedora user, you need to download the rpm package. There are two versions of the deb package: 32 bit and 64 bit. How do you know if you are running 32 bit or 64 bit version of Linux? Type “uname -m” in your Terminal. If it says “x86_64” you are running 64 bit. Otherwise, you are running 32 bit, regardless if you have a 32 bit or a 64 bit CPU. 2. Unpack. Right-click the file and Extract Here. Once you have the file downloaded the version you need, you need to unpack the file. You can right click the file and choose “Extract Here.” This will unpack the file. It will create a new directory which will be named with something that starts out with “LibO_3.3.0rc4_ …..” I’m not going to type out the entire directory name since its too long. 3. CD to the DEBS directory and install these packages. 4. CD to the desktop-integration directory and install these packages. 5. That’s it. You’re done. Access LibreOffice from the Applications > Office menu. By the way, LibreOffice is also available for Windows and Mac users.